The Flexi-Foot offers an active solution to the less active, especially for poor vascular health and/or diabetic patients. The device is designed keeping in mind the requirement of the slow walkers to provide support and protection to the vulnerable sound limb through an innovative combination of active heel and full length keel. The piece allows the basic ambulators to gain advantage of the premium technology and access the right fit. 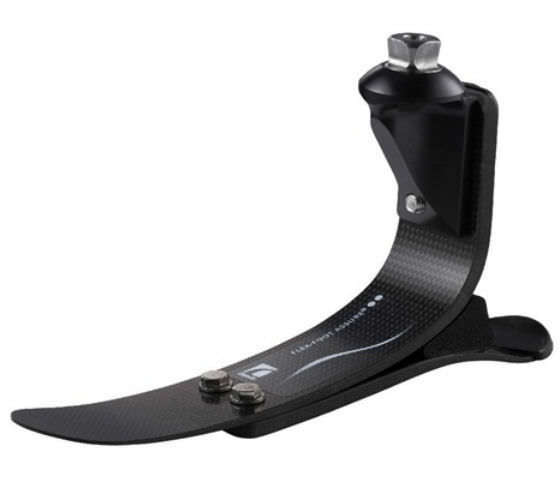 Incorporating the foot plate to complete potential enables an experience of natural gait progression to its users. The natural gait minimizes strain on the sound side and lower back thus keeping stress at bay.